Elan Alicante La Costa Apartment Homes for rent in Carlsbad, CA boasts a beautiful coastal community that offers nearly seven miles of beautiful beaches, picturesque lagoons, and the charm of a European village coupled with world class golf, spas, and shopping. We are located in the Prestigious North Coast Community of La Costa and adjacent to the elegant and world class La Costa Resort and Spa. No matter your tastes or budget, you can experience a wealth of options at every corner. The community offers newly remodeled homes with spacious bedrooms, distinguished crown molding, extensive private balconies or enclosed patios with extra storage closets, full size washers/dryers, central heating & air, wood-burning fireplaces, sparkling swimming pool, relaxing spa and dry heat sauna, hi-tech fitness center, covered parking, and friendly on-site Staff with full-time emergency Maintenance to meet all your maintenance needs. Many apartment homes feature gorgeous views of the beautiful La Costa hillside or La Costa Resort and Spa golf course. There is ample parking and private garages are available to rent. 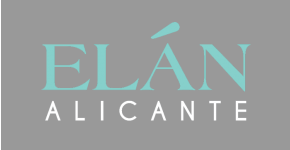 Elan Alicante La Costa welcomes cats and dogs; please see our pet policy as some restrictions may apply. Perfectly situated between the glamour of Los Angeles and the laid-back lifestyle of San Diego, the world is at your fingertips while your toes are in the sand. Keep your eyes open to discover an array of world-class beaches, coastal shopping, and award-winning restaurants. Enjoy major retail shopping and dining at the Carlsbad Premium Outlets, take a ride to Carlsbad State Beach, or visit one of the many lagoons: Batiquitos, Agua Hedionda, and Buena Vista. Come and experience the unique qualities that provide you with a relaxed seaside village and a lively modern city. The good life awaits you at Elan Alicante La Costa!